We guarantee consistent quality cleaning services. We employ reliable, hard-working and trustworthy cleaning technicians that are driven by our employee incentives. We strive to exceed your expectations for quality cleaning services. We inspect our work before leaving your premises. If, after your inspection, you find our service unsatisfactory, please contact us within 24 hours so we can correct the issue the next day. Refunds are not offered. We will correct any mistakes. Requests received by our office after that will be incorporated into your next cleaning. Schedule Changes or Cancellations: In the event that a scheduled cleaning service must be changed or cancelled, the client must notify us 24hours in advance. Please be sure your premise is accessible to our maids. If you are not at home/facility when they come to clean, please deactivate your security alarm prior to each scheduled visit, or provide us with a code. If our cleaning crews are unable to access your premises or if our crew is turned away when they arrive (for any reason), you will be charged 50% of the bill due for the service that would have been performed . 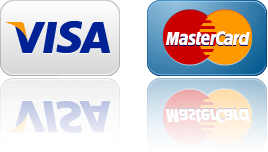 Payment: we accept cheque, cash or online payment, We require full payment upon completion of our cleaning service. Outstanding balances must be paid prior to the next cleaning or we will not be able to perform future cleaning services. Returned cheques are charged AED 250.00 for reprocessing. We are not responsible for damage due to faulty or improper installation of items. Please inform us of any items in your home/facility that requires this type of attention. The maids will immediately notify the client of any accidental damage that occurs during each job. In the event that the client finds any damage in the house as a result of our cleaning service, the client must notify us within 24hours after service or the client will be denied compensation. By using our service you agree that our liability to you for any reason whatsoever, and for any damages direct, consequential or otherwise shall be limited to 1000AED per customer. Our website is not responsible for the third party advertisements or links posted on our website.